Regional small business and start-up owners are invited to free workshops at the University of New England's Armidale campus on 15 and 29 June to learn how effective networking and innovation and intellectual property can boost their success. Member for Northern Tablelands, Adam Marshall said the two workshops will be held at UNE's SMART Region Incubator and are funded by the NSW Government’s Boosting Business Innovation Program. 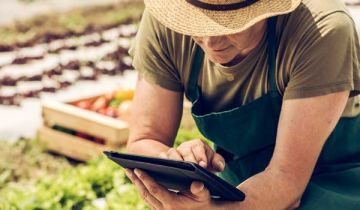 “As part of the NSW Government’s $12 million Boost program, two free workshops are on this month to help boost the skills and capacity of New England businesses. “Start-ups can learn how to meet people and companies crucial to driving their success – and how intellectual property law can help innovation or protect their valuable ideas. The first event on Effective Networking Tools and Techniques is on Thursday (15 June) from 10am-11.30am and will be hosted by Sarah Mason. Sarah is a mentor at the SMART Region Incubator and also General Manager of HSPR and a Business Director at Hausmann Communications. She will show how professional networks can build business relationships and share tools and techniques to establish valuable connections. The Innovation and Intellectual Property workshop is from 5pm-6.30pm on Thursday 29 June and hosted by Professor Mark Perry of UNE’s School of Law. Professor Perry researches law in high tech agriculture, biotechnology and data governance and will talk about how ideas and innovation can drive start-ups and small businesses, how technology is driving change, and the important role of intellectual property. Register online for the two events.